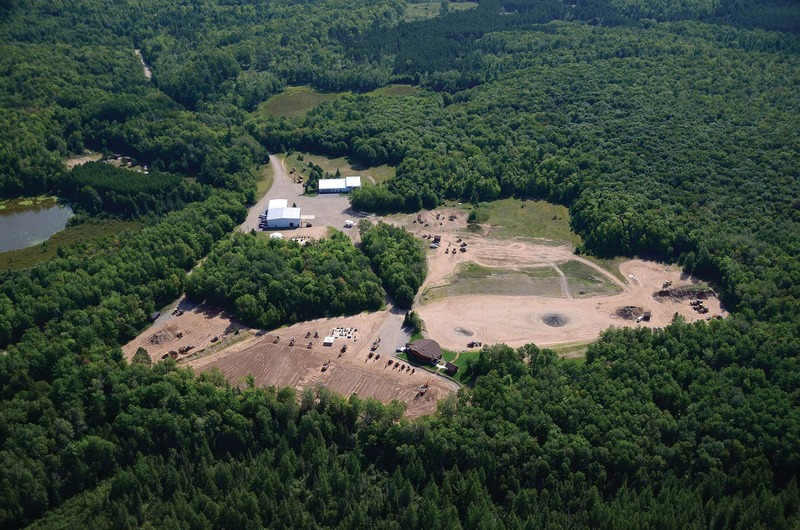 The North Woods hospitality, engaging demonstrations and hands-on equipment operation all combine to make Tomahawk an experience that you will never forget. Come experience a philosophy and way of doing business that truly sets CASE apart. 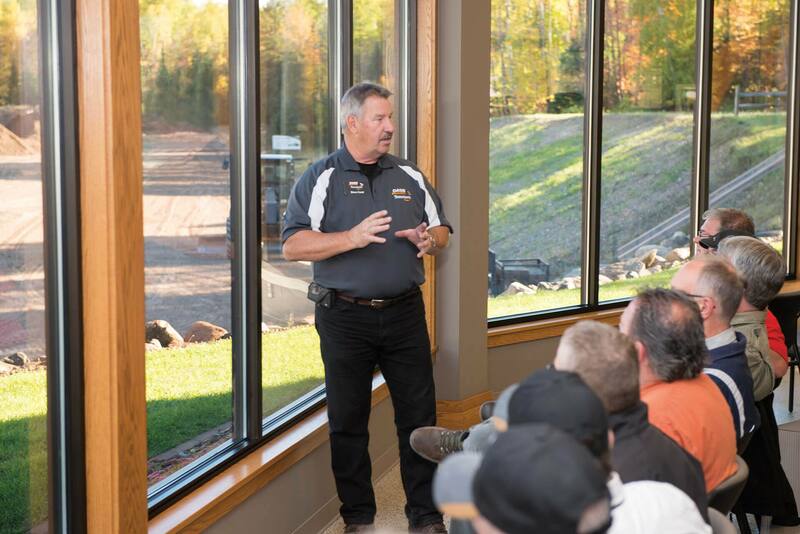 Sitting on more than 500 acres in Wisconsin’s Northwoods, the CASE Tomahawk Customer Center is a premier year-round demonstration facility and business retreat. Enjoy a fully interactive experience with personalized training, state-of-the-art product demonstrations, hands-on equipment operation, and a healthy dose of our trademark hospitality. Like our company and our dealers, our Tomahawk staff is here to provide you with expert guidance and education to help you make informed operating and maintenance decisions. Gather the latest product information manuals. Talk to a CASE expert. Schedule transportation. If you’ve got questions, you’ll find the answers here. Sit comfortably in our 3,000 sq. ft. room with panoramic viewing of product demon-strations in the field. Plus, with our operator’s helmet cam connected to HD displays, you’ll see what they see and how they engage each feature. Tomahawk is like no other demo facility in the industry. Spread out over 25 football fields, our extensive fleet of over 60 models of CASE machines is at your disposal to touch and test. Climb in and operate any of our latest excavators, dozers, graders, and loaders over diverse terrain and field conditions, including dirt and aggregate. Learn about the latest CASE engineering and technology solutions. Partake in educational product walk-arounds. Our 6,000 sq. ft. indoor facility is open 360 days a year. Be sure to visit the CASE Museum, showcasing the innovations that have helped define our brand and exploring the rich history of Drott and CASE. Enjoy home-cooked meals and the relaxing atmosphere of our main lodge and cook shack. 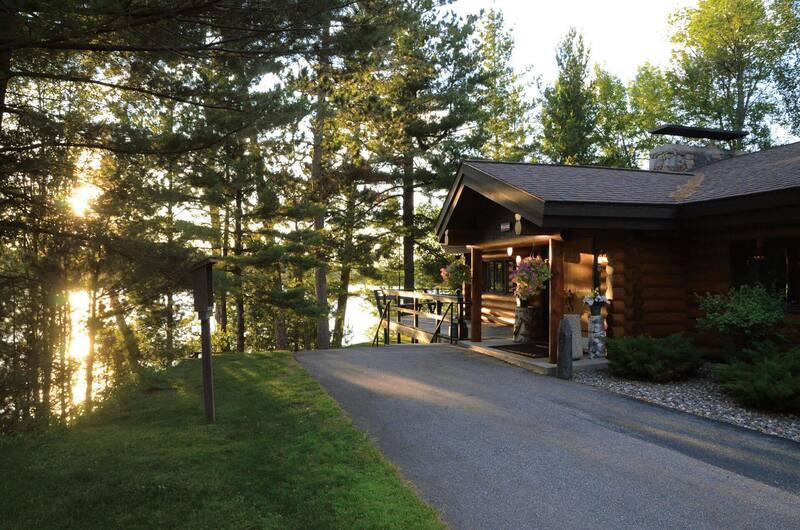 The cabin-style lodges provide comfortable accommodations for up to 35 people per night. After a full day of digging, demos, and training, relax along the tree-lined shores of Lake Clara in one of our on-site log cabins. No cabin fever here. Our rec room — complete with billiards, darts, table tennis, and Buck Hunter — never closes. And if you need to burn some calories, our exercise room has it all – treadmill, elliptical, and weights. The Tomahawk Customer Center has been serving customers for more than 60 years. The facility stands on the site of the Drott Manufacturing proving grounds, which date back to the early 1900s. After acquiring Drott in 1968, CASE transformed the property into a world-class facility dedicated to serving CASE customers. I was blown away by the whole experience. The outstanding hospitality, beautiful location, product training, and stick time on the machines. This was the most productive business trip I’ve taken in years.